This report will explain technological changes happened in hospitality industry by citing example of a specific hotel industry. It is evident that impact of information technology on IT industry is very significant. Hence, information technology has become inevitable part of the industry. Main reason to choose this topic is to understand the importance of the technological advancement to the hospitality industry over the years. In this research proposal, author will attempt to evaluate the impact of technological changes to the specific hotel industry. This will be done through secondary data collection method. Smith, Thorpe and Jackson (2008), Fukami (2007) and Lemelson-MIT program (2007) are intended to be reviewed in this particular report. It is said that technological excellence is a true gateway in coming years for customer satisfaction and retention.This research will discuss about the technological changes which has happened in hospitality industry over the years considering example of specific hotel industry. Impact of information technology has played a significant role in development of hospitality industry. This research will explain what has changed hotel technology so far as technological perspectives are concerned. Also this research will outline the demands of consumer in modern era. Hotel Four Seasons is being considered as an example for studying these aspects in detail. The role of technology in hospitality industry has gained high importance in effectively managing employee efficiency, customer satisfaction and thereby generating enhanced revenue. As opined by Nyheim and Connolly (2013) implementation of technology in hospitality industry provides equal benefits to both customers and the organization. with the assistance of technology, customers finds it easy to select and communicate with the best firms in hospitality industry where they can be resided for experiencing best services at affordable budget. Customers consider technologies as highly significant in hospitality industry, as it enables to make reservations of rooms, compare prices, to review guest experiences, accommodation facilities, infrastructure etc. Sloan, Legrand and Chen (2013) mention the prevalence of technology in hospitality as impeccable to define since it facilitates firms to make frequent communication with its employees. Use of technology in hospitality industry has highly helped firms to stay connected with each of its dispersed divisions and branches and thereby to gain access over information about staff’s and guest easily. It is clear from the viewpoint of Sloan, Legrand and Chen (2013) that the implementation of technology in hospitality industry has highly benefited firms to lower its cost of operations. Enz (2009) argues that the implementation of technology incurs high cost to organization, but at the same time, it offers multiple benefits to the firm. Online booking facilities: Online booking facilities which are offered by firms in hospitality industry through mobile apps, websites and social media pages current have gained principle importance in enhancing guest satisfaction (Enz, 2009). Wi-Fi: Guests and staffs in hospitality industry are free to connect with the Wi-Fi facility provided by firms. Installing Wi-Fi infrastructure throughout the firm incurs high costs. However, most of the leading firms now implement Wi-Fi facility for gaining higher guest satisfaction through proving better connectivity (Legrand and Chen, 2013). RFID: Firms in hospitality industry has introduced RFID based inventory management system for effective room management, tracking personnel, vehicle management, linen and laundry management, etc. RFID-enabled rooms, facilitates hotel managers to get instant updates about vacant and occupied rooms, number of days the rooms are booked etc. The attachment of washable RFID-tag in the room accessories enables the management of hotel to eliminate the possibilities of theft, misplacements etc. But on the other hand, Enz (2009) highlighted that the RFID related issues such as reading collision and tag collision are more common in hospitality industry that results in to overall disruptions in operations. Four Seasons hotel offers outdoor activities in Hampshire such as tennis and horse riding along with the excellent hospitality experience. It has also a great advantage of luxury hotel’s exquisite cuisine and Zen like spa. Four Seasons also offer an ideal location for Hampshire weekend breaks or English country side holidays at this luxury hotel near London (Four Seasons Hotel, 1997). According to the Williams (2007), there are three methods through which data can be collected. I.e. qualitative, quantitative and mixed methods. Research is the process of defining objective and flow of information. Each method has own set of guidelines for carrying out research activities. It is very important to understand the technological changes which are happening in to the market. In today’s era, technology is the core competency for any organization which will decide success or failure of any organization in long run. Hence, this study enables the reader to understand the various technologies adopted by specific hotel industry and evaluates the trends in the technology so far. Various recommendations have been given by author which may help Four Seasons hotel on the technological advancement front. This research is suitable for the hospitalization industry because it gives insight as to how technological advancement can help the specific hotel industry to perform in better way and gain more customer satisfaction. As a limitation for this report, it was not possible to conduct survey with direct customers since Four Season’s management does not allow to interact with their customers without obtaining prior permission from them. The researcher guarantees that research carried out shall cause no harm in terms of physical or personal harm. All data will be highly confidential and shall not be disclosed to any third party without taking consent of the data provider or resource. There are basic two types of methods being adopted for data collection. In this research, author will focus on secondary data collection method for analysing the trends in recent times observed in hospitality industry across the globe. Secondary data collection method was used while evaluating technological changes for specific industry. Various secondary data collection sources like journals, internet and books used while carrying out the data collection. Predominantly the data was collected from previous work of researchers. This was to ensure that qualitative data is obtained for the study. In this research various trends in the technology were discussed in detail. Citing the example of Four Seasons hotel, latest trends in hospitality industry were discussed and evaluated in detail. In the edge of cut throat competition, it is recommended to Four Seasons hotel to adopt the technological changes in order to expedite growth of business. It was also noted that technology is advancing at a faster pace than ever with the examples like cloud computing, wireless communication and digitization. Some of the trends in the technology are leading to great improvements and considerable savings for the hospitality industries. One thing is very evident that growth in technology in hospitality industry will definitely help in enhancing a customer friendly experience and ultimately enhancing customer satisfaction. Books, articles, journals, etc used by the researcher to select the topic. Sources like books, articles, journals etc will be used for setting the research aim and objectives. Various sources like articles, books, journals, magazines etc will be used to attain in-depth knowledge with regards to the research methods and techniques appropriate to conduct the research. By taking help of literature review and by having discussion with the supervisor shall collect details regarding the organization under study. For the analysis of the data collected through secondary means, tables and pie charts will be made use of for interpreting the retrieved data. Conclusions will be derived at based on the analysis of the available data and appropriate recommendations would be offered. This research was planned to assess the current and future technology use in the Hospitality Industry. The researcher had selected Four Seasons Hotel for conducting the study. The questionnaire was designed to collect information from employees of Four Seasons regarding the use of technology in the hotel (Please refer Appendix 1 for the questionnaire). 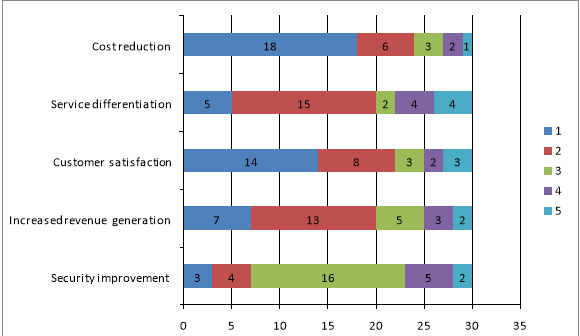 Likert scale method was used for developing the questionnaire and the questionnaire was distributed among employees of Four Seasons through online survey method. By selecting employees of Four Seasons as the target segment for the survey, the researcher was able to ensure that the collected data was relevant to the research question. The researcher decided to use primary research for the study. The research was conducted through online and telephone survey of employees at two locations of Four Seasons London – at Park Lane and at Ten Trinity Square. The sample size was decided as 30, with 15 employees from each location, considering the difficulty in contacting the respondents. Employees working in different departments – front office, IT, housekeeping, kitchen, room service, restaurant, etc. – were approached for the survey, in order to get a holistic understanding of the situation. As seen above, the survey questionnaire was structured and closed, involving Likert scales to capture employee’s opinions. Primary research has the advantage of being specific to the situation and therefore relevant, compared to secondary research. Survey method offers the benefit of conducting the research remotely. A survey using Likert scales is easy to understand during remote surveys, without requiring additional explanation. Since the questions are structured and closed, the survey cannot adapt to the situation and capture additional data provided by the respondents. Likert scales are likely to suffer unconscious biases as a similar opinion may be marked as a ‘2’ by one respondent and a ‘3’ by another. Also, surveys are prone to conscious biases of the respondents who manipulate the responses to show themselves in favourable light. This bias is avoided when the researcher records the data first hand through observation strategy. In the present study the researcher used ANOVA (Analysis of Variance) method for analysing the data collected from employees of Four Seasons hotel through questionnaire. Though the researcher contacted more than 100 employees of Four Seasons, only 30 employees responded to the questionnaire. The data collected from 30 employees is analysed with the help of ANOVA method. From the survey it was revealed that 12 employees out of the 30 employees who responded to the survey were from IT department of Four Seasons. The remaining 18 employees belonged to no-IT departments such as marketing, administration, customer service etc. With the help of ANOVA analysis method, the differences between the opinions of IT employees and non-IT employees of Four Seasons hotel regarding the role and importance of IT in the hotel is analysed in the below table. From the above table it can be understood that the opinion of employees of IT department of Four Seasons and that of non-IT employees of Four Seasons differ in relation to the role of IT in improving customer experience and employee performance in the last 3 years in the hotel. The below 0.1 ‘P’ scores of these questions in ANOVA analysis indicates that the two employee groups have diverging opinion on the issue at hand. On one hand, IT employees are of the opinion that IT has very important role in improving customer experience and employee performance while on the other hand non-IT employees do not agree with this view. Another finding emerging from the above table is that both IT and non-IT employees are in agreement that IT has played crucial role in increasing revenue and in reducing costs in Four Seasons. Similar to the above findings, it was also revealed from the analysis that both IT and non-IT employees identified cost reduction and security improvement as the main future IT goal of Four Seasons. Other future IT goals such as customer satisfaction, service differentiation and increase in revenue received less support from non-IT staff when compared to IT staffs. 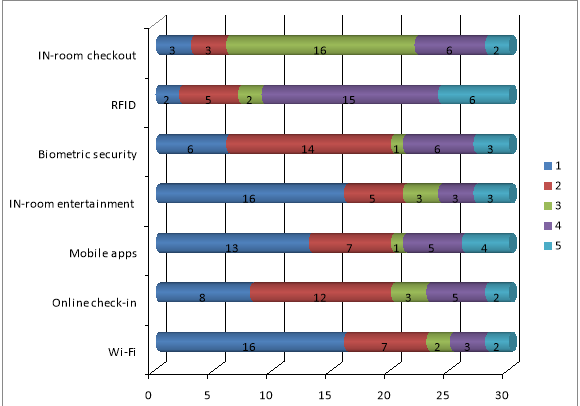 The above analysis reveals that both IT and non-IT staffs of Four Seasons identified Wi-Fi, in-room entertainment and in-room checkout as the most in-demand technology among customers of Four Seasons. Also features such as RFID and biometric security received significant positive opinion from IT employees. The researcher was also able to identify from the analysis that low ROI of IT, lack of customer adoption, employee resistance and training and development needs were considered as key challenges by both IT and non-IT departments. On the other hand, data and privacy protection issues were considered to be important only by IT staffs. The quantitative data collected through survey is analysed using the ANOVA method. In an ANOVA method, the data from two or more groups are studied to verify consistency of results. Since the t-test is another method used for the same purpose, ANOVA is often compared to the t-test. ANOVA can be used to conduct the analysis of the more than two groups simultaneously without increasing the chances of Type I error. Unlike the t-test, ANOVA can be used to compare groups of different sample sizes too. If the samples are not drawn from normal populations, the use of ANOVA gives inaccurate results. While ANOVA can confirm if some samples are different from the others, it will not point out which samples are different from the equal ones. The researcher conducted primary research in order to get reliable data on the topic, specific to Four Seasons. Since it was difficult for the researcher to visit the two Four Seasons hotels in London, online and telephone survey was selected as the research strategy. To avoid biases due to the opinions of specific departments, the survey was conducted on employees across departments. Since the survey was not being implemented in person, the questions were kept closed through Likert scales. This also helped with the comprehension of the questionnaire. 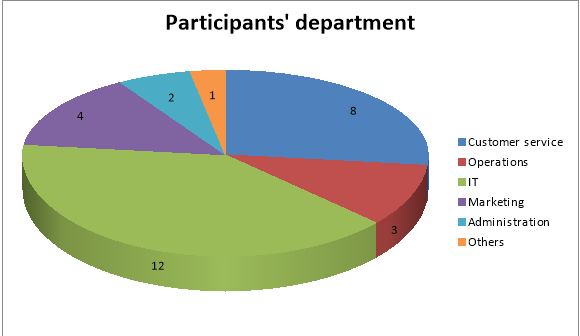 Survey methodology also helped collect quantitative data, which was easy to analyse using the ANOVA method. The researcher developed a detailed project plan which outlined the objectives, milestones, resource allocation, review dates and monitoring plan. This helped the researcher in conducting the researcher in an effective manner. However, the researcher faced difficulties in analysis stage of the research due to lack of previous experience in ANOVA and other statistical analysis methods. The researcher met this objective with the help of survey of employees of Four Seasons. The researcher was able to establish that technology played crucial role in increasing revenue and in reducing costs in Four Seasons. Hence, the present study was able to outline the need and importance of technology in hospitality industry. This objective was also fulfilled with the help survey of employees of Four Seasons. In the employee survey the researcher collected information regarding the customer demand for current technologies used in hospitality industry. From this data the researcher was able to understand that Wi-Fi, mobile apps and in-room entertainment were the most in demand technology in hospitality industry. For fulfilling this objective, the researcher collected data from employees of Four Seasons regarding the main technology issues faced by hospitality industry. From the survey the researcher was able to identify that data privacy and protection and employee training and development were the two key issues related to technology in Four Seasons. Based on this the researcher was able to infer the need for improvement in these aspects of existing technologies. Four Season’s website provides facility to their partners as well as customers to book the hotel rooms, horse riding or facilities like Zen spa. Online presence of Four Seasons Hotel is one of the example of modern era technology being utilized in hospitality industry (Four Seasons Hotel, 1997). There was a time where it was very difficult to find out hotels with E-mail IDs or websites. People use to utilize the directories in order to approach various hotels. Research can be conducted through a following approach. Hospitality industry in recent times and few latest trends are highlighted as below. In recent times, guests whoever are travelling they travel with smart phones tablets and computers look forward for Wi Fi facility as must have wherever they check in to any hotel. Four Seasons also offers seamless connectivity to all its guests from the time they check in without interruptions. In recent times many hotels have started installing Wi Fi hotspots to facilitate and attract more and more customers (Aurecon Group, 2016). Besides offering Wi Fi, for corporates meeting hotels must offer to access audio visual (AV) along with digital facilities for conferences (Aurecon Group, 2016). In recent times guests are also expecting digital interactions with the hotel to be personalized. Communication by means of mobile applications to personalize the experience. Digital experiences can be synchronized with food preference or other travel experience (Aurecon Group, 2016).It is recommended to Four Seasons hotel that digital check in experience can be provided to the guests who prefer digital communications. Near Field Technology (NFC) is the generation next short range high frequency wireless communication technology which enables user to exchange the data between devices. Apart from payments. (Aurecon Group, 2016).Four Seasons hotel can use NFC to personalize guests experience at hotel like Four Seasons or resorts. Installing the smart room keys which shall allow guests to unlock their doors just by simply swiping their phones through a keyless pad mounted on the door. Another experience would be through a fingerprint activated room entry system and retina scanning devices. This will definitely ensure high level of security for all the guests who check in (Aurecon Group, 2016). This is the latest trend in the hospitality industry to invest in cloud services. Instead of spending too much capital expenditure on setting up IT infrastructure, cloud computing is the ideal solution in modern era. Initial investment in cloud computing is very much lesser than the installation of new infrastructures, setting up servers and long term maintenance. It also gives flexibility to user as well as the hotel to expand as per the business growth. Cloud computing is the trend which we will continue to see for the hotel groups ultimately by replacing their legacy IT infrastructure with cloud computing solutions (Aurecon Group, 2016). From the study the researcher was able to present the need for improvement data privacy and protection and employee training and development aspects of existing technologies used in Four Seasons. Based on this the researcher recommended Four Seasons to adopt e-learning and on-the-job training programs and use innovative software for offering improved protection and privacy. The survey method was found to be effective in collecting data. The study is internally valid, as it collected data from all departments of the Four Seasons hotels. However, it may not be externally valid, as the opinions of the respondents are highly dependent on the technological environment of Four Seasons. Through this research, the researcher aims to bring out the technological factors that are critical in the hotel industry today. The researcher offers several recommendations for Four Seasons hotel which will help them to capitalize on their strengths and overcome weaknesses. The prime difficulty encountered during the research was the lack of access to Four Seasons customers, as the hotel policies forbade this. Hence the data on customer experiences was collected from employees, due to which it might be biased. Most of the employees participated in the study were belonged to IT department of Four Seasons. Current technologies in Four Seasons have important role in improving guest experience, increasing employee performance efficacy, enhancing revenue of the hotel and minimizing costs of operation of the company in the last three years (Refer Appendix 2). Similarly, Nyheim and Connolly (2013) mentioned that, technology in hospitality sector have key role in improving customer satisfaction, employee efficiency and thereby to improve company revenue. Cost reduction, customer satisfaction, service differentiation and increased revenue generation were the important IT goals of Four Seasons in the next 3 years (Refer Appendix 2). Likewise, Nyheim and Connolly (2013) highlighted that, through the implementation of new technologies, hospitality companies’ tries to provide equal benefits for both customers and the organization. Wi-Fi, Mobil apps and In-room entertainment were mostly demanded technologies of Four Seasons. Biometric security and online check-in technologies of the company also have high customer demand But RFID has low customer demand (Refer Appendix 2). Four Seasons (2015) noted that, current technologies of the company were highly effective for enhancing guest satisfaction. The key issues associated with technology use in Four Seasons were the ineffective employee training and development and lack of data and privacy protection (Refer Appendix 2). Eftekari (2013) also reported that, lack of effective training and development made the employees of Four Seasons incapable of handling the new technologies effectively. "Impact of Technology on the Hospitality Industry." UKEssays.com. 11 2018. 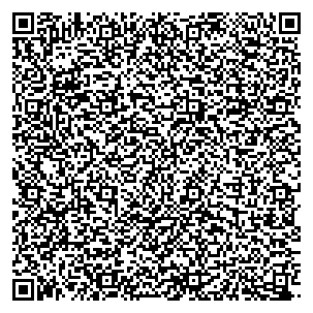 All Answers Ltd. 04 2019 <https://www.ukessays.com/essays/business/impact-technology-hospitality-industry-5070.php?vref=1>. "Impact of Technology on the Hospitality Industry." All Answers Ltd. ukessays.com, November 2018. Web. 19 April 2019. <https://www.ukessays.com/essays/business/impact-technology-hospitality-industry-5070.php?vref=1>. UKEssays. November 2018. Impact of Technology on the Hospitality Industry. [online]. Available from: https://www.ukessays.com/essays/business/impact-technology-hospitality-industry-5070.php?vref=1 [Accessed 19 April 2019]. UKEssays. Impact of Technology on the Hospitality Industry [Internet]. November 2018. [Accessed 19 April 2019]; Available from: https://www.ukessays.com/essays/business/impact-technology-hospitality-industry-5070.php?vref=1.